The ultimate vegan bible by Britain's foremost vegan and vegetarian cook and bestselling author, Rose Elliot. 'The queen of vegetarian cooking' - The Green Parent In recent years the vegan movement has gone from strength to strength as awareness of the ethical, environmental and health benefits of following a plant-based diet have steadily increased. The tired stereoptypes about veganism have been banished and, from the spectacular dishes served at restaurants and food markets to simple, nourishing fare prepared at home, vegan food is now celebrated and sought out as a vibrant, nutritionally dense cuisine that is fresh, exciting and packed with flavour. Rose Elliot has been at the forefront of vegetarian and vegan foodwriting for over 35 years. Her delicious, easy-to-follow recipes and warm writing style guiding readers through exciting new flavours and methods of cooking. In this book Rose gives readers a masterclass on vegan cookery, with over 200 recipes from basics including vegan milks, butters, cheeses and creams she continues with full recipes for breakfasts, soups, light meals and lunches and simple main courses. There are also recipes for special occasion dishes, side dishes, delicious desserts and foolproof dairy-free baked goods. The recipes range from the comforting and familiar like Vegan Macaroni Cheese to more exotic fare, such as a fragrant Aubergine Pilaff Cake or Pulled Jackfruit Tacos. Rose also proves that following a vegan diet doesn't mean missing out on your favourite foods, and shows how easy it is to whip up a creamy vegan mayo, classic Yorkshire Pudding or wonderfully crisp meringue at home. Packed with beautiful photography, mouthwatering recipes and essential information, The Complete Vegan is the ultimate resource for any vegan cook no matter their level of experience or expertise. 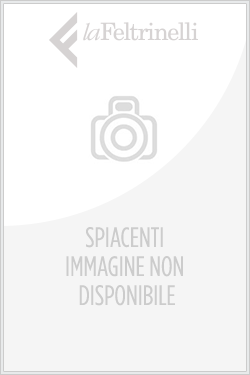 Acquista The Complete Vegan Cookbook in Epub: dopo aver letto l’ebook The Complete Vegan Cookbook di Rose Elliot ti invitiamo a lasciarci una Recensione qui sotto: sarà utile agli utenti che non abbiano ancora letto questo libro e che vogliano avere delle opinioni altrui. L’opinione su di un libro è molto soggettiva e per questo leggere eventuali recensioni negative non ci dovrà frenare dall’acquisto, anzi dovrà spingerci ad acquistare il libro in fretta per poter dire la nostra ed eventualmente smentire quanto commentato da altri, contribuendo ad arricchire più possibile i commenti e dare sempre più spunti di confronto al pubblico online.